FREE Snack Cooler From Sargento! You are here: Home / FREEbies / FREE Snack Cooler From Sargento! You can get a FREE snack cooler from Sargento! 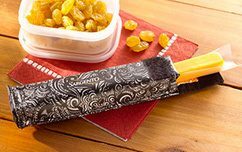 This snack cooler will hold your string cheese and keep it cool while you’re on the go! The Sargento Snack Cooler conveniently holds a Sargento Cheese Snack for on-the-go convenience and healthful snacking.